Among the comic obstacles facing Miss Burgess in producing her first play at the high school are a grouchy janitor, disappearing scripts, crossed up romances, a stage struck heroine and her bewildered boyfriend, an actor with a swollen head, a disgruntled athlete who feels out of place on stage, a flamboyant professional actress with advice, a banker’s daughter driven to theft and, perhaps most unexpected of all, a romance for Miss Burgess herself! Gregory Johnston’s comedy, Curtain Going Up, was performed by the high school drama class of the 1954 San Diego Junior Theatre summer session. Two evening performances were held at the Puppet Theatre in Balboa Park. Among the players was thirteen year-old La Jolla High School student Raquel Tejada, who would become known as Raquel Welch. Written by Gregory Johnston. 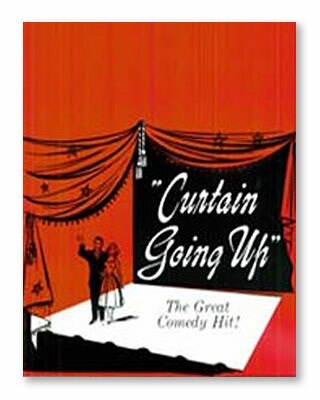 Curtain Going Up, presented by special arrangement with Samuel French, New York, NY. Production sponsored in part by the City of San Diego Park and Recreation Department.